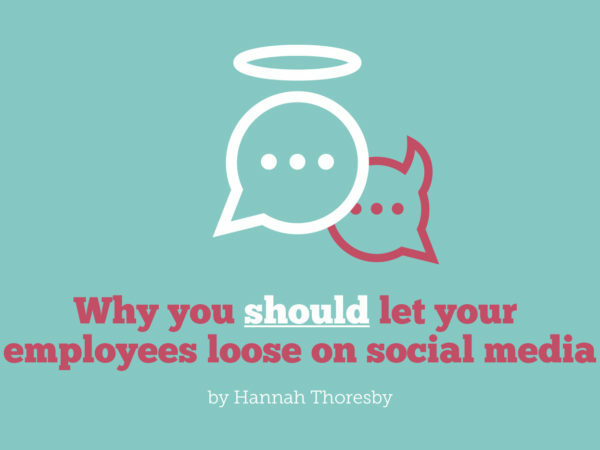 Even those who love their jobs will admit that the office can sometimes get a little dull. Research by staffing agency Robert Half shows that the average employee is bored for 10.5 hours per week. If this sounds familiar, it’s time to learn how to keep yourself engaged and motivated at work. Here are a few simple ideas with the power to transform your day. 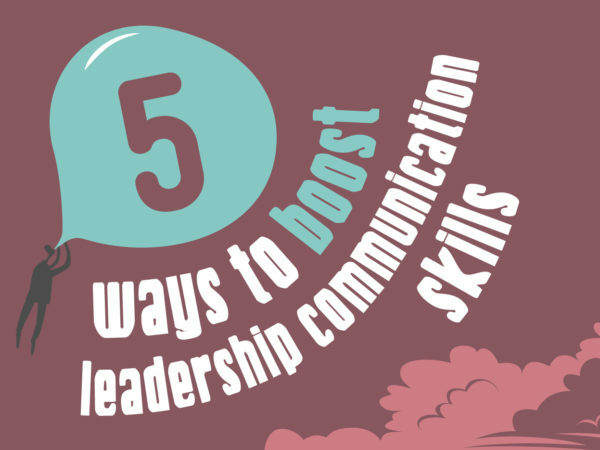 Get exciting dollops of internal comms inspiration delivered straight to your inbox, every week! 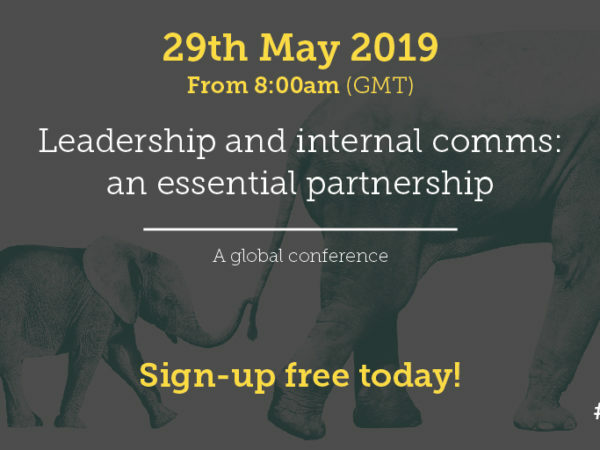 Subscribe to our Friday Ketchup to get handpicked internal comms and employee engagement insights, facts, and ideas squeezed straight into your inbox, every Friday. I want some tasty Ketchup! True, sometimes you may not find yourself in the best mindset to take on a day at work, but try to adopt a broader perspective. Build an attitude of gratitude by thinking about the aspects of work you do enjoy, or by appreciating your workplace culture or the colleagues you work closely with. And be thankful that you have a home, food to eat, and a job that helps cover your expenses. A bare, boring workspace won’t inspire you into action. 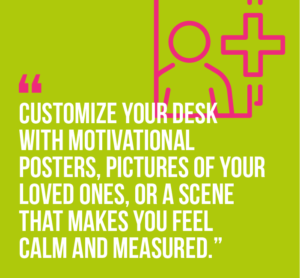 Customize your desk with motivational posters, pictures of your loved ones, or a scene that makes you feel calm and measured. It’s your workspace, so make it yours! A quick massage relieves tension, and can form part of a self-care routine. There are many portable options available, making massages a perfect drug-free remedy for work stress. For example, you could stash a head massager in your desk drawer and use it when you feel overwhelmed. A good mood is contagious. When you make a special effort to smile at others, they will smile back! 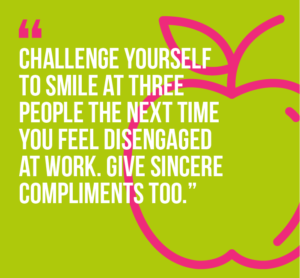 Challenge yourself to smile at three people the next time you feel disengaged at work. Give sincere compliments. Everyone likes to feel appreciated, and it will make you feel good too. Drinking water may not be especially exciting, but staying hydrated will keep you focused. Even mild dehydration causes low moods and impairs productivity, so try to get through a couple of liters every day. The American College of Healthcare Sciences recommends rosemary, bergamot, geranium, clove, and lemongrass oils for the office. 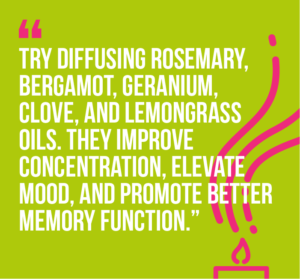 They improve concentration, elevate mood, and promote better memory function. However, some people are allergic to oils, so always check with your colleagues before using them. Plants and flowers are soothing, visually appealing, and inspire a sense of well-being. Place a couple on your desk, and position larger plants around the workplace for everyone to enjoy. Laughter and social connections are immensely beneficial for emotional well-being. 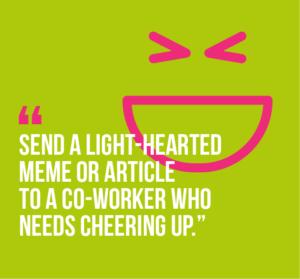 Why not send a light-hearted meme or article to a co-worker who needs cheering up? Just remember that some forms of humor are not appropriate for the workplace, so keep it G-rated. Never send jokes that violate the office code of conduct. Worrying about the future or ruminating on past mistakes will drag you down. Instead, focus your energy on the present. Mindfulness exercises are the perfect way to refresh your mind and de-stress. Try an app like Headspace to get started. Movement triggers your body to release endorphins, which improve your mood. Get creative and come up with new ways to incorporate movement into your day. For example, you could aim to take a 20-minute walk every day at lunchtime. When you answer a phone call, stand up and walk around your desk. Or if you need to talk to a colleague, suggest a walking meeting. 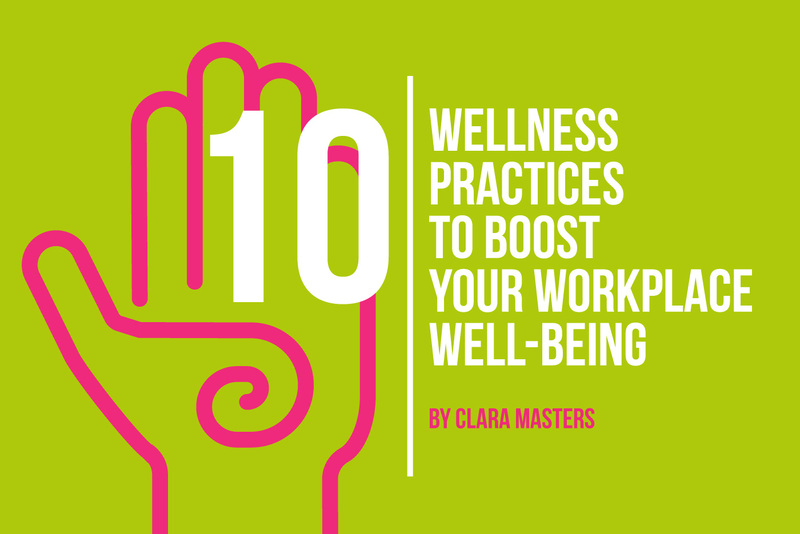 These workplace wellness ideas will help you make the most of every day, even when you’re feeling uninspired. Start by making just one or two changes, and you’ll be pleasantly surprised by the results. I am an entrepreneur and content marketer. In a former life, as a corporate business executive, I relied on yoga, reflexology and other alternative practices to fight stress, anxiety and find balance. Now, at Massageaholic.com, I’m on a mission to bring massage therapy closer to those who want to live a balanced, healthy life, connecting body, mind and spirit. Connect with me on Facebook and Pinterest! 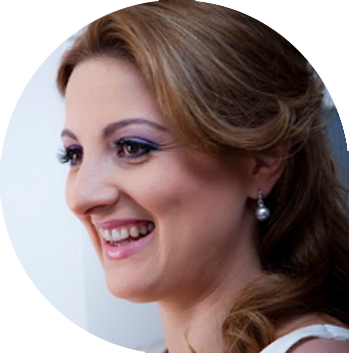 We’d love to help you inspire happiness and well-being in your employees! 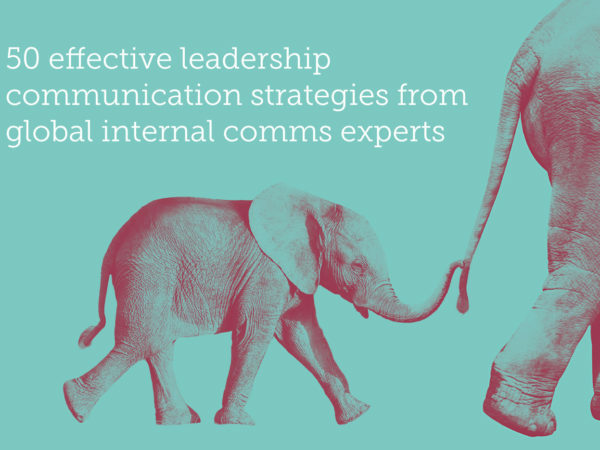 Our bespoke internal communications and engagement programmes are tailored entirely to your unique organisation, workforce, and culture, and combined with a large dollop of strategic insight and ingenious creativity to ensure they deliver the desired results. If you want to boost your employees’ engagement and well-being in the workplace, we’d love to be on your team!